The EDGE of Existence programme invests in conservation at a grass-roots level. We support aspiring conservationists in developing countries to take the lead in researching and conserving their local EDGE species – the most effective and sustainable way to ensure the long-term survival of these animals. Every year, around 10 early-career conservationists are awarded one of ZSL’s two-year EDGE Fellowships. With mentorship from ZSL experts, and a grant to set up their own project on an EDGE species, each fellow gains a rigorous scientific grounding as well as practical experience. Each intake of Fellows begins with a four-week training course in essential conservation tools, delivered in priority EDGE regions such as Madagascar, Costa Rica, Borneo, Kenya and the Philippines. Fellows then head back to work with their chosen species, receiving both online support from their ZSL supervisors, as well as project visits to assist them in the field. 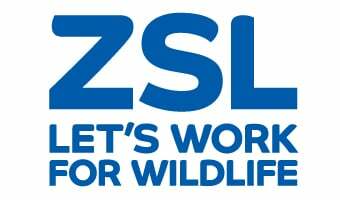 Near the end of their Fellowship, the Fellows will visit ZSL London Zoo to receive two weeks of conservation leadership training. Over the past decade, 68 passionate conservationists from all over the world have completed the EDGE Fellowship programme and made an impact in the countries where they live. Follow-on funding is available to outstanding Alumni to scale up their projects and put into practice recommendations for conservation action. "The EDGE Fellowship has provided me with invaluable experience and assistance to develop a career as a conservationist. Not only with financial support, but it has also helped me with conservation tools training and methodological and technical assistance. This support has improved and scaled up the conservation project I am currently working on, involving the El Rincon Stream frog and its habitat." After completing her Fellowship Micaela Camino was invited to become an EDGE Affiliate, as recognition of her ongoing work with the Chacoan peccary and continued relationship with the EDGE programme. One of the most effective ways ZSL's EDGE of Existence programme is working to secure the future of EDGE species is by awarding two year Fellowships to future conservation leaders working on poorly-known EDGE species. Find out how you can become an EDGE Fellow. For more information about the EDGE Fellows Programme, please visit the EDGE of Existence website or you can email the EDGE Fellows Coordinator.